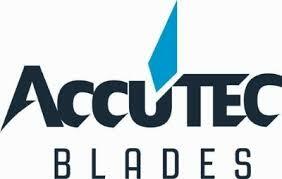 Accutec Personna Plus® Microtome Blade Case 72-0100 by AccuTec Blades GROUP: Lab Equipment & Accessories:Sample Collection & Processing:Miscellaneous Item Description: Blade, Low Profile, .010", 50/dp, 10 dp/Case Packaging Desc: Blade Low Profile .1050/Dp 10Dp/Case Country of Origin: US Harmonized Tariff Code: 8208.90 Product Description: Available in both low and high profile featuring MicroCoat® edges, which allows the blades to glide with smooth, clean precision. The blades consistently provide a uniform ribbon lacking any grooves or split sections of paraffin. The unique on-hand dispenser enables the user to see the number of blades available for use and has a disposal reservoir to prevent used blades from dropping out of the compartment and causing injuries.